Nearly everyone can benefit from exercise. Aside from toning our bodies and muscles into becoming the best form they could be, exercise also benefits our skin by allowing it to release dirt and other impurities through our sweat. To ensure that our skin stays youthful and radiant after each workout, we need to take care of our skin immediately to prevent these toxins from getting reabsorbed into the skin. Using gentle cleansers – which hydrates and removes dirt and pollutants without causing irritation like Cosrx, a popular skincare brand that is known to balance the skin’s natural pH levels. Each of which ensures that your skin stays ready without causing further skin problems. Sweating after an intense workout is normal. After all, this is the body’s way of detoxing itself by removing dirt and other pollutants through the pores. However, to avoid letting bacteria stay on the surface too long, experts believe that users should follow it up with a proper skin care routine. However, unlike lengthy skin care routines at night, users should stick to using only the essentials such as cleansers, moisturizers, and SPF products. If there is no access to water, consider using facial wipes to remove dirt and grime. The reason why users should keep it to a minimum is because the skin is still sensitive and requires time to heal. Aside from your face, remember to include washing your body after your workout to ensure that the rest of your body stays clean and hydrated. Since sweat isn’t just limited to the face, users should remember to care for the rest of their body as well since one can still be prone to irritation and acne in other areas. To remove stubborn dirt and bacteria, consider using a product with natural exfoliating ingredients like lactic acid, which can help slough off dead skin cells without being too harsh. After washing the face and the body, remember to dry off yourself with a soft and clean towel. However, instead of rubbing the cloth against your body, try gently patting on damp areas instead since the skin is quite sensitive after a workout. Additionally, rubbing too hard can cause also cause redness and irritation which can affect your skin’s overall appearance. Rigorous exercise can lead us to sweating buckets which can leave the skin and body dehydrated. To avoid keeping our skin from looking dry and aged, remember to rehydrate every so often to keep the body stable. Additionally, drinking water also helps with the detoxifying process since it can flush out unnecessary toxins within the body leaving you with clean and glowing skin. The sun’s UV rays is the number one cause of ageing as well as other serious skin conditions like sun spots and certain forms of skin cancers. After washing your face and moisturizing, remember to apply SPF products on your face as well as your body to give you that extra protection before heading outside the gym. This prevents harmful UV rays from harming your skin especially after a workout. Face mists are handy products that help hydrate your skin on-the-go regardless where you are. Many of which are formulated with concentrated natural ingredients like green tea, snail mucin, and rose petals which not only ensures your skin stays soft but also prevent it from looking tired and worn out. If you have dry skin and would like an extra pick-me-up after your post-workout skin care routine then spritzing on some facial mists can certainly help lock in your moisturizer. 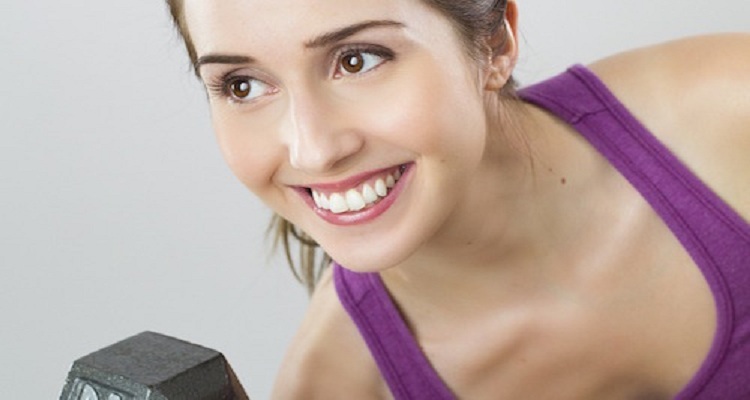 Most of it even revitalizes your skin, making your cheeks look rosier and fresher after hitting the gym. Exercise can benefit the skin by allowing itself to release various pollutants through sweat. It also helps improve circulation and skin renewal by toning certain muscles and joints. To ensure that the skin stays healthy from the inside-out, users must invest in a proper skin care routine to stay radiant.